I have a heavy heart as I write this issue of Tibetanlife. The 11th Tibetan this year has just set themselves on fire this morning, the second nun to do it. As a Buddhist, I believe it is not good to commit suicide but it is clear that the Tibetans in Tibet are desperate and beyond frustrated. They have been peacefully protesting against Chinese oppression and genocide for 60 years but the world continues to ignore them. Read more about Tibetan self-immolation and tell us what you think here. 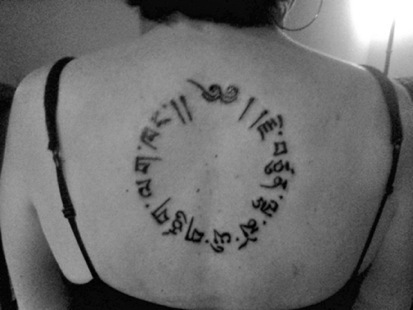 Is it possible to get a Tibetan Tattoo written in a circle? My Tibetan Dog just died. I want to share my journey with this remarkable companion. 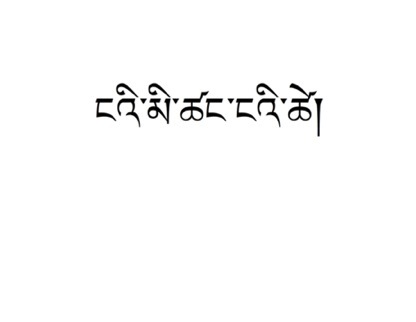 I want to get a Gemini Tattoo, what's that in Tibetan? I want to make a fabulous web site like yours. show me how. I want to share my opinion about Tibet. Where can I do this? When we rise in the morning and listen to the radio or read the newspaper, we are confronted with the same sad news: violence, crime, wars, and disasters. I cannot recall a single day without a report of something terrible happening somewhere. Even in these modern times it is clear that one's precious life is not safe. No former generation has had to experience so much bad news as we face today; this constant awareness of fear and tension should make any sensitive and compassionate person question seriously the progress of our modem world. We can only conclude that there must be something seriously wrong with our progress and development, and if we do not check it in time there could be disastrous consequences for the future of humanity. I am not at all against science and technology—they have contributed immensely to the overall experience of humankind; to our material comfort and well-being and to our greater understanding of the world we live in. But if we give too much emphasis to science and technology we are in danger of losing touch with those aspects of human knowledge and understanding that aspire towards honesty and altruism. Check out this month's gorgeous Tibetan Tattoo! If you would like to see your own Tibetan tattoo in this space then send it along with the story of how you got it and why! Click on the pic to see the translation. This month's translation is 'My Family, My Life'. Thanks for the request Rebecca! Please send us a pic when you get your tat done! Now Available In Paperback At Amazon. On sale for a limited time only - $8.99! 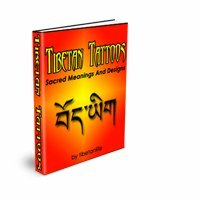 Tibetan Tattoos Sacred Meanings And Designs Ebook is now 108 pages and the price is now only $16.99!